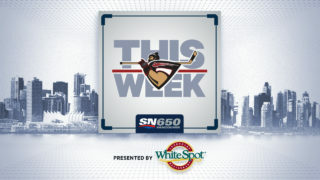 The Vancouver Giants are pleased to announce that 2001-born goaltender Trent Miner (Brandon, MB) has been named the WHL Eli Wilson Goaltending Goaltender of the Week for the week ending October 7th. Last week Miner appeared in two games for the Giants and posted a 2-0 record with a 1.00 goals-against-average and a .964 save percentage and one shutout. Miner turned aside 54 of the 56 total shots fired his way. On Wednesday, October 3rd in Kelowna Miner earned his first career WHL shutout in a 5-0 win over Kelowna. Then on Saturday, October 6th Miner made 33 saves on 35 shots he faced in a 3-2 victory in Prince George. 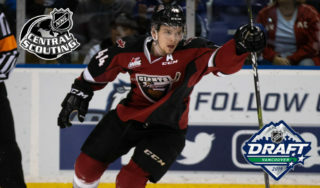 Originally selected 20th overall by the Vancouver Giants in the first round of the 2016 WHL Bantam Draft. He joined the Giants in January, 2018 and has appeared in 11 career games, posting a record of 5-4. 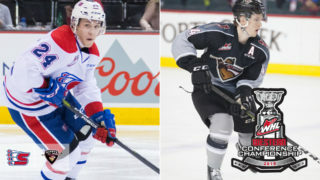 Miner also appeared in three of the Giants 2018 playoff games against the Victoria Royals where he compiled a record of 1-2. He earned a victory for the Giants in Game 1 of the series stopping 41 of 42 shots. 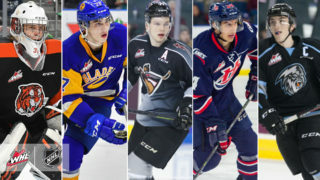 Earlier this month, Miner cracked NHL Central Scouting’s Preliminary Players to Watch List. He is eligible for the 2019 NHL Draft. 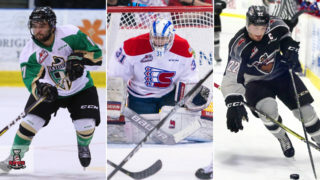 Other weekly winners of the WHL Eli Wilson Goaltending Goaltender of the Week award include: Prince Albert Raiders goaltender Ian Scott (September 30th) and Kamloops Blazers goaltender Dylan Ferguson (September 23rd). 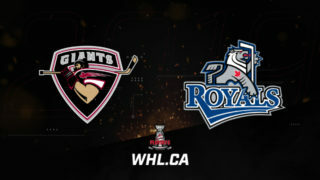 Miner and the Giants return to action this weekend on Friday, October 12th against the Kamloops Blazers. Puck drop goes at 7:30 PM from the Langley Events Centre.